In fact, this mineral, also called potassium, the heart, kidneys and other organs can function normally. In addition to these various benefits, potassium is also very useful to prevent various diseases including heart disease, blood vessels, and strokes. 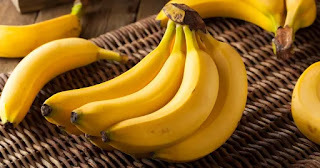 You can get various benefits of potassium by consuming its sources, such as bananas, milk, fish, shellfish, beef, chicken, turkey, bread, potatoes, sweet potatoes, spinach, tomatoes, soybeans, kidney beans, almonds, apricots, oranges , broccoli, kiwi, pineapple, carrots, green leafy vegetables, whole grains, avocados, beets, mushrooms, yogurt, pears, mangoes, pistachio nuts, raisins and grapes. But be careful, don't overdo it or lack in consuming potassium. The World Health Organization or WHO recommends potassium intake of at least 3,500 to 4,500 mg daily. If excessive, it can trigger an abnormal heart rate, deteriorate kidney function, and severe infection. While lack of potassium can cause muscle weakness, irregular heartbeat, increased blood pressure, vomiting, diarrhea, or kidney disorders. Potassium in supplement form is thought to be able to reduce blood pressure, especially for those who eat foods with high salt content. In fact, eating foods that have potassium is also thought to help prevent high blood pressure. One study revealed that consuming 4,000 mg of potassium per day can reduce the risk of death from heart disease. The condition of hypokalemia, in which a person is deficient in potassium in his body, is thought to play a role in the occurrence of death from arrhythmias. The risk of death from arrhythmias will be higher in people who have had heart problems before. Eating potassium-rich foods every day is also very important to keep your heart rate stable and reduce the risk of developing heart problems. Eating foods that contain potassium is useful in helping reduce the risk of stroke, especially ischemic strokes (strokes due to blood clots that clog arteries). Provided that it is accompanied by reducing salt intake sodium, saturated fat, and cholesterol. Studies show that eating potassium-rich foods is thought to prevent osteoporosis, especially among elderly women. Potassium is also thought to be beneficial for increasing bone density and reducing the discharge of calcium through urine. However, further research is still needed to support this statement. In the body of people with inflammation of the digestive tract, nutrients are often difficult to absorb. This is because of the symptoms of diarrhea or vomiting. Doctors may also check potassium levels in the body and recommend eating foods that have potassium. Eating foods containing potassium is thought to reduce calcium levels in the urine. Excessive calcium levels in urine are the most common cause of calcium kidney stones. Potassium is important for the body, but do not forget to keep the intake of other nutrients in order to stay balanced and provide maximum benefits for the body. Don't hesitate to get a nutrition doctor about the benefits of potassium and how to get it optimally. 0 Response to "Benefits of Potassium for a Healthy Heart"